Michael B. Jordan on Creeed II red carpet in London. 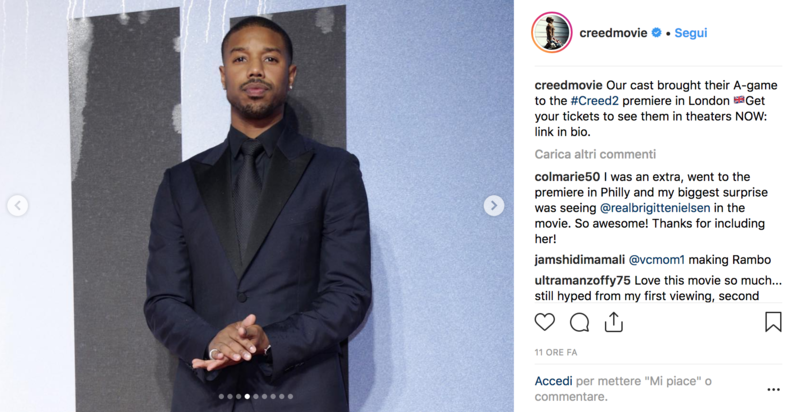 LONDON – On Wednesday night, in the brisk breeze of a rain lashed London, the hotly anticipated Creed II held its European premiere. This second chapter in the spin-off saga boxes clever by mixing trademark explosiveness with a strong emotional core. It is an outing destined to thrill audiences. 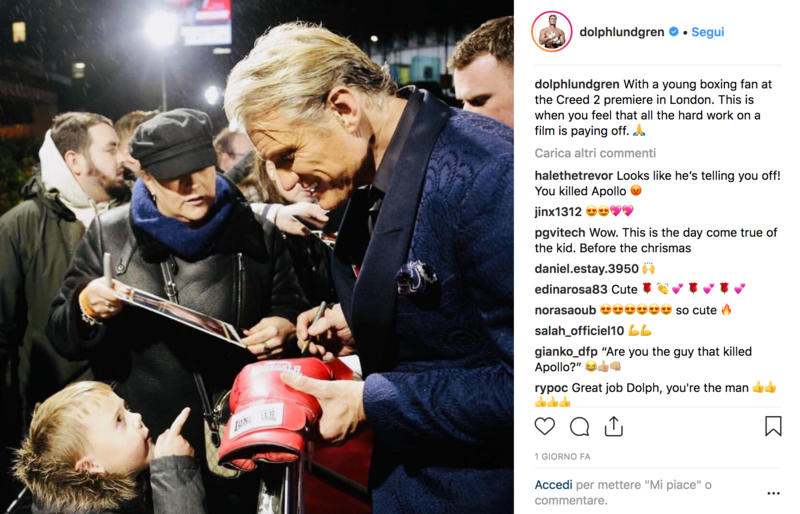 We at the Hot Corn were lucky enough to nab exclusive chats from the red carpet with director Steven Caple Jr, Michael B Jordan (Adonis Creed), Florian Munteanu (Viktor Drago), and a returning Dolph Lundgren (Ivan Drago). For their insights, read on. Adonis Creed aka Michael B. Jordan. 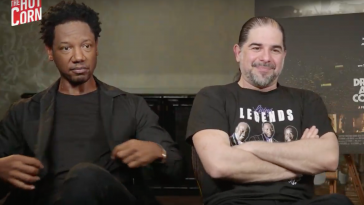 EVOLUTION First of all, what should audiences expect from Creed II? Over to the man who plays Creed, Michael B Jordan: “The evolution of Adonis. We really follow his journey into manhood. From boy to man. Maturity. Fatherhood”, he told to Hot Corn. “We really wanted to raise the stakes”. As for the story, Sly Stallone is back as retired ringmaster Rocky Balboa, who continues to mentor Apollo Creed’s son, Adonis. All is going well when an old foe rumbles into town. Ivan Drago has passed the bad blood connected with their shared past down the line and it lives on in his own son: man monster, Viktor Drago. Viktor challenges Creed. Laced with history and with thoughts of legacy, these two are on a collision course to clash city. 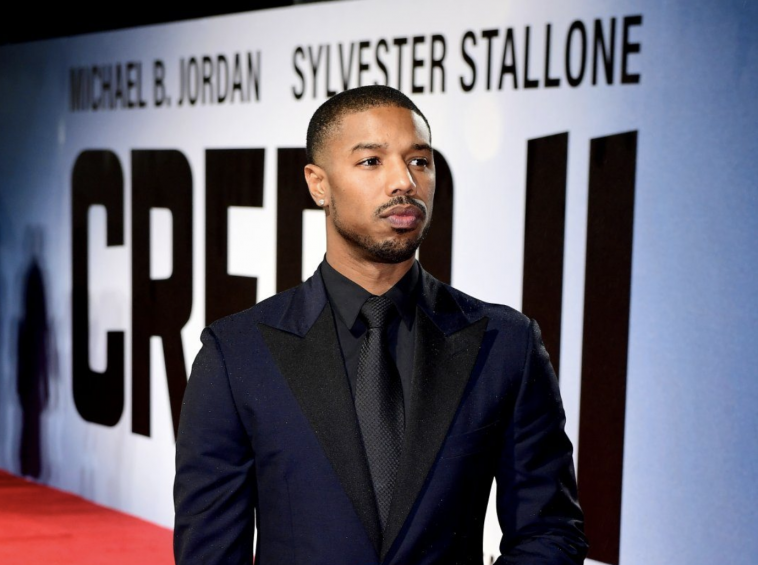 Creed II is the eighth film connected to the Rocky universe and this brought about challenges of its own, as Jordan was quick to address. “The hardest challenge? Doing something different”, he reflected. 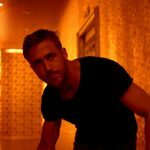 “Trying to find something that we haven’t seen before in a Rocky film that makes it unique and elevates it without making it cheesy”. 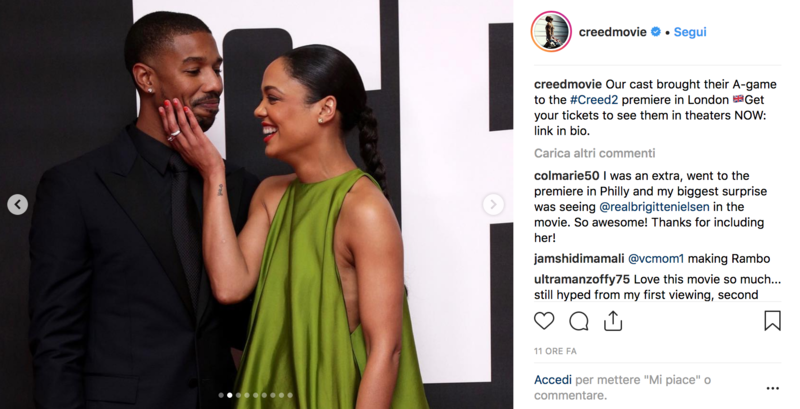 Creed II, Tessa and Michael. SHOTS LANDED With the unremitting, visceral violence of the fight sequences, ‘cheesy’ is not a term that comes to mind. Munteanu even attested to the stray punches. 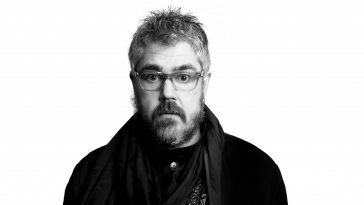 “There were a couple of shots to the body and to the face that landed”, he regaled. “The goal was to make the fighting stuff as realistic as possible, so we had to take some shots. There were some POV shots and those were for real”. As for whether Sly was overtly hands-on or hands-off, Caple Jr: “A little bit of both, man. He’s hands-on when you want him to be. 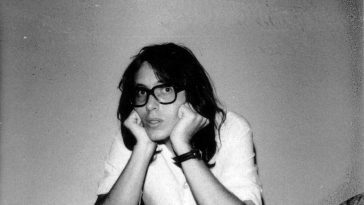 Also, he knew that this film was only going to be as successful if I was able to do what I came to do. He’s a filmmaker and I think people forget that. He understands the art of directing and being in your own zone”, he revealed.“I think the other half of it is when you want him to help with some fight sequences or you say, ‘Sly, how did you do this back in 1986?’, he was super helpful in that sense”. Dolph Lundgren on the London red carpet. 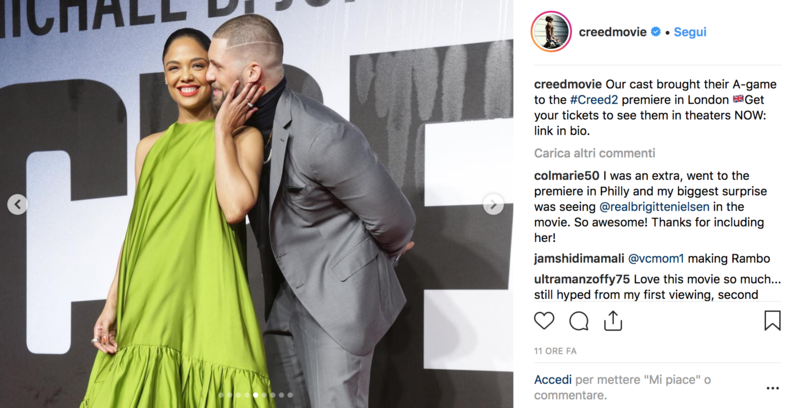 Tessa Thompson and Florian Munteanu. PRESSURE AND LEGACY “Rocky was a little movie forty years ago about some guy, a washed-up fighter who got one shot at becoming somebody”, Lundgren added. “Don’t we all feel like that? Where we want a shot at being somebody? We all have our dreams. And he (Stallone) did such a beautiful version of it through boxing that it’s endured for 40 years. And I’m sure it’ll endure for another 40 years”.“Sylvester is a legend”, Munteanu continued. “He is the one who discovered me, so I owe him a lot. I’ve given him at least 200% for this movie. I put my heart in the line in order to make this film a success”. Finally, it’s over to Caple Jr. “I wanted to pay homage”, he remarked. 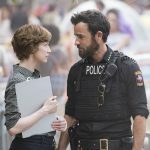 “You go back to pick up certain styles themes that might play well in this film. Things that fit naturally”. Well, see for yourself if Caple Jr has managed to create a knockout of his own when Creed II arrives in cinemas. Creed II is in cinemas nationwide from 30th November 2018. 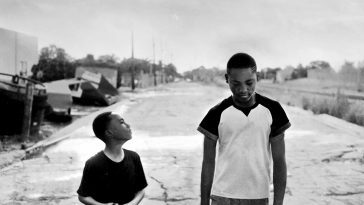 “That’s America to me”: Roberto Minervini on What you gonna do when the world’s on fire?